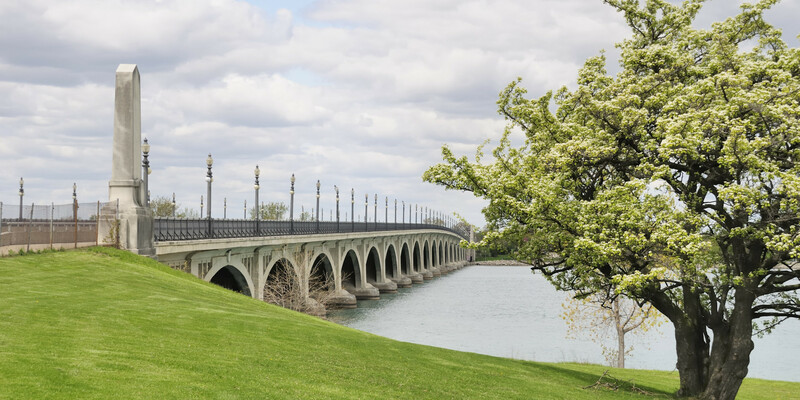 Challenge Detroit – 6 Facts I Bet You Didn’t Know About Detroit’s Belle Isle! As a native Detroiter, I honestly thought that I knew all that there was to know about my hometown – Well, I was wrong! During my time with Challenge Detroit, I have learned A LOT about the city of Detroit. Every time we embark on a new Challenge project, I walk away with an abundant amount of knowledge and history about various landmarks and organizations. Most recently, my Challenge team is working with the Belle Isle Conservancy. During our short time with the organization, I have learned SO much interesting information about Belle Isle. 1. Belle Isle VS. Central Park – Belle Isle is older and larger than New York City’s Central Park. Both parks were designed by Frederick Olmstead; however, Belle Isle is about 200 acres larger than Central Park. 2. James Scott Fountain’s troubled past – The beautiful fountain located near the island’s “Sunset Point” is a pinnacle in the park where hundreds of people gather and take photos. However, many people are not aware of its history! 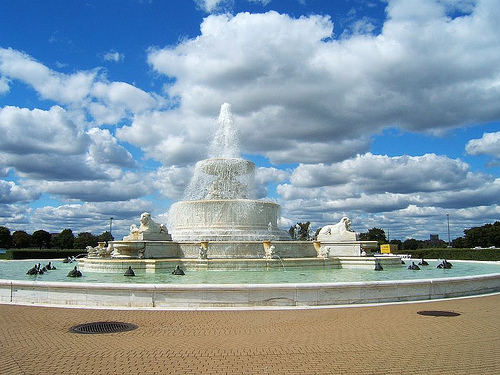 The fountain was named after James Scott who was a realtor in Detroit during the early 1900s. James had a terrible reputation and was disliked all throughout the city. When James died, he left a small fortune to the city; however, in order for the city to access the money, he ordered that there be a fountain erected to honor him. Due to his reputation, the city debated for years about fulfilling his wishes. The fountain was completed in 1925. 3. Sheba the Elephant – In the early 1920s, an Elephant by the name of Sheba was brought to the island. The elephant lived in the Belle Isle Zoo and on the island until her death in 1959. She is actually buried on the island! Read more about Sheba here. 4. Secret Speakeasy – During the prohibition, Belle Isle was a hotspot for smugglers. Due to its location, it was a perfect place for bootleggers to import alcohol and other items from Canada. At the time, there was a small “speakeasy”, or bar, in the basement of the Belle Isle Aquarium for people to gather and enjoy libations from across the river. 5. Belle Isle Aquarium – Like many places of the island, the Belle Isle Aquarium has also had an interesting history. Designed by world renowned architect Albert Kahn, the aquarium is the oldest, continually operating aquarium in North America! 6. Belle Isle Casino – Lots of people, including myself, always ask about gambling at the park’s “Casino”. To my surprise, this was never the case. The word casino originally means “gathering place” and the building simply serves as a center for visitors to fellowship and host events. I hope you found these facts to be as interesting as I did. I look forward to gathering more content and testimonials about the park during the remainder of our challenge! 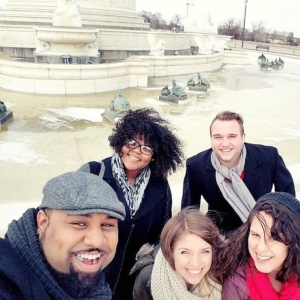 The James Scott Fountain team gathering for a selfie!